MICROMO, a member of the FAULHABER Group, has been a full service, value added partner to the medical and laboratory industry in North America for custom micro motion solutions for over 50 years. 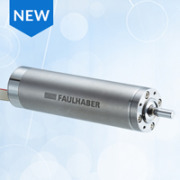 MICROMO offers excellence in micro motor and encoder technology as well as design customization. MICROMO brings together value-added services and cutting-edge technologies from around the world through high efficiency, high performance rotary and linear offerings, such as brushed, brushless, stepper, thin-profile DC, piezoelectric and linear motors for diverse applications (www.micromo.com). MICROMO provides full service design, sourcing and manufacturing capability on a global basis to deliver benchmark motion solutions. Decades ago in Germany, it all started with the FAULHABER coil, the landmark invention by Dr. Fritz Faulhaber. The self-supporting, ironless rotor coil design paved way for a new industry that produces millions of motors today. MICROMO’s benchmark contributions with custom motion solutions are a part of many leading applications such as a variety of medical device offerings, robotics technologies and aerospace and defense systems (including unmanned systems technologies). MICROMO has helped a wide array of industries for years through a variety of applications. MICROMO’s experienced engineers look beyond just components to offer solutions optimized for your device’s mechanics and electronics. The MICROMO team looks forward to partnering with you to make your next design a success. 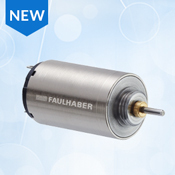 MICROMO launches FAULHABER 1016 SR micro DC motor series. 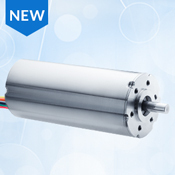 10 mm in diameter and 16 mm in length, the 1016 SR series delivers over 24% more torque per watt than competitive motors of the same dimensions, and offers high-energy efficiency. 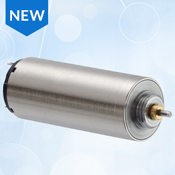 MICROMO launches the new Piezo LEGS® Linear 6N motor (LL06), the next generation of the classic Piezo LEGS® LL10 with some major redesign work. The LL06 features an integrated high-resolution optical encoder, plus a slimmer design and options for guides that steer the drive rod.